We’ve been busy working with Emma on another Hospital Arts Project. 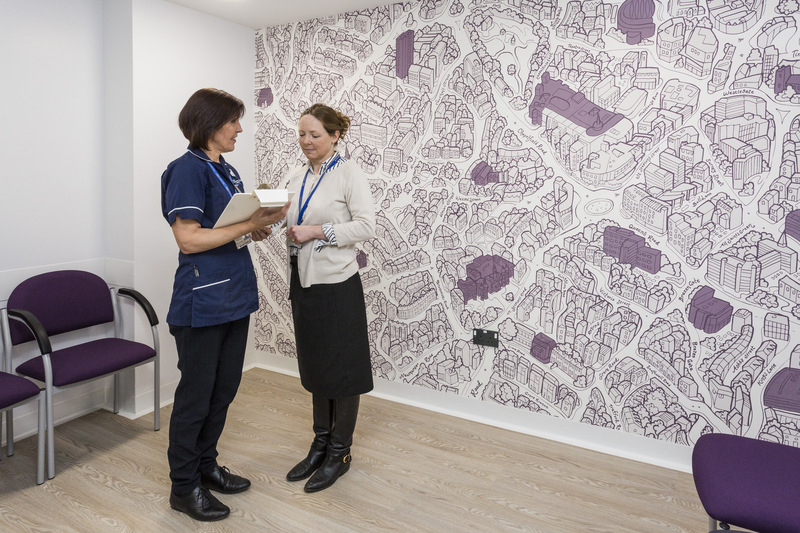 This time for the new Central Norwich Eye Clinic, and a couple of weeks ago we printed and installed 42sqm of bespoke textured Japon wallpaper in the new Grove Road premises. February 10th saw the official opening of the clinic and Chris with his camera in hand attended along with several patients and NNUH staff members. 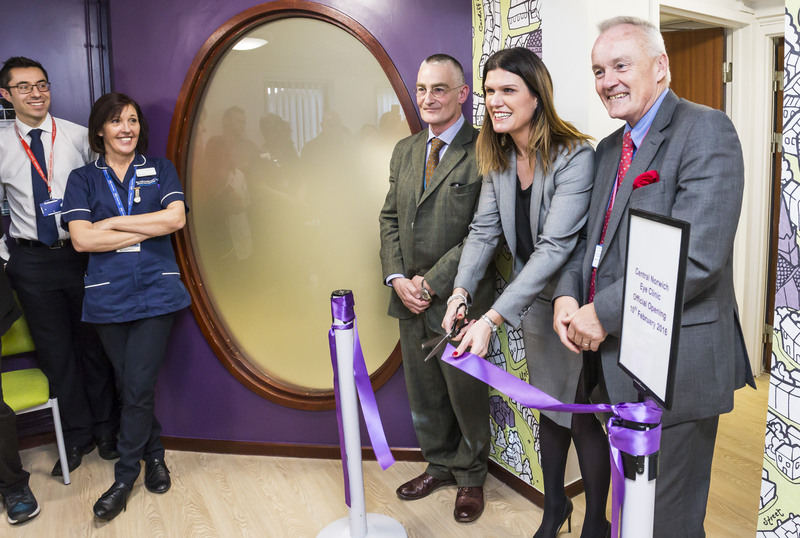 Lauren Carey from pharmaceutical company Novartis had the pleasure of cutting the official ribbon along side NNUH Chief Executive Mark Davies and Consultant Colin Jones. 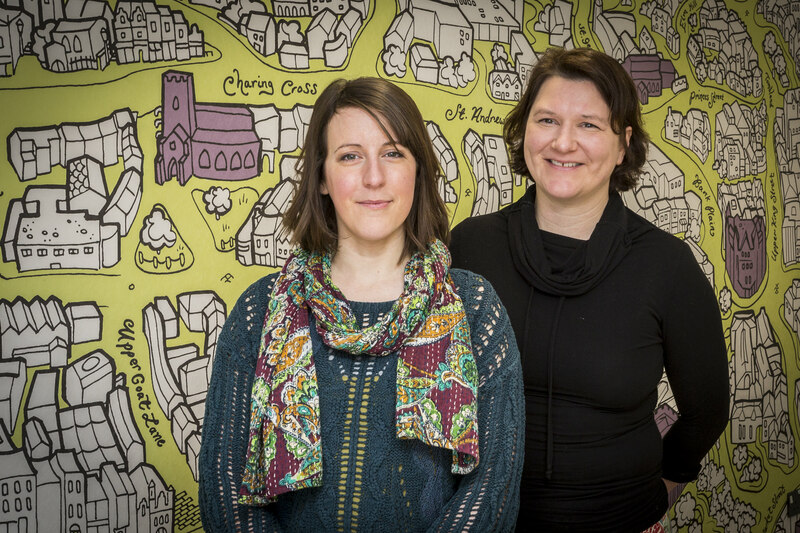 The wallpaper was beautifully designed by Beverley Gene Coraldean at Geneality Art. The creative illustration shows the streets of Norwich in bright purples and greens complete with matching paint and chairs. 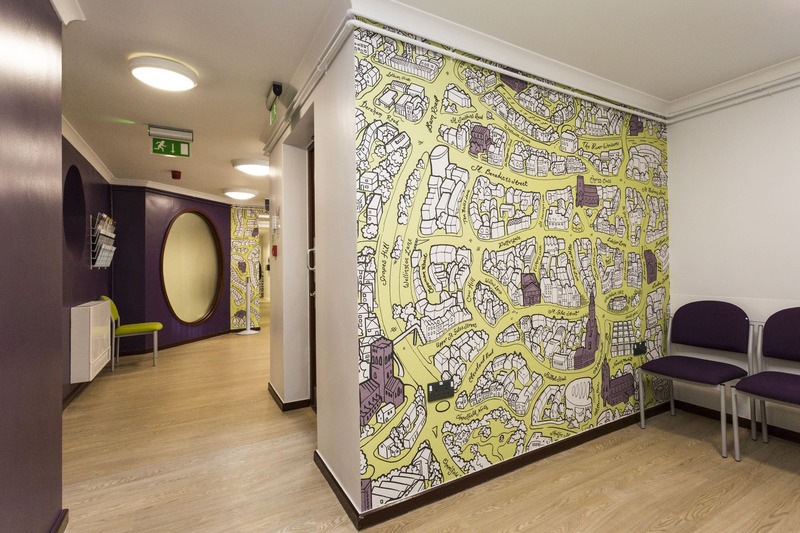 This creates a real wow factor in the waiting room for staff and visitors alike.